I’m so happy to have received a preview copy of Mrs. Wheelbarrow’s Practical Pantry. I’m a long-time fan of Cathy Barrow’s blog. Her home preserving expertise has been a source of inspiration and guidance. The book is great for beginner and more advanced home preservation enthusiasts alike. It’s filled with detailed information, mouth-watering recipes, and gorgeous photographs. It focuses on water bath canning, pressure canning, preserving meat and fish, and fresh cheese making. It’s a great source to learn how to preserve seasonal produce, and also shows you how to make many pantry staples. You’ll find recipes for double strawberry preserves, caramel pear preserves, drunken pineapple sauce (can you imagine it over vanilla ice cream? ), smoked oysters, maple bourbon bacon, and more. 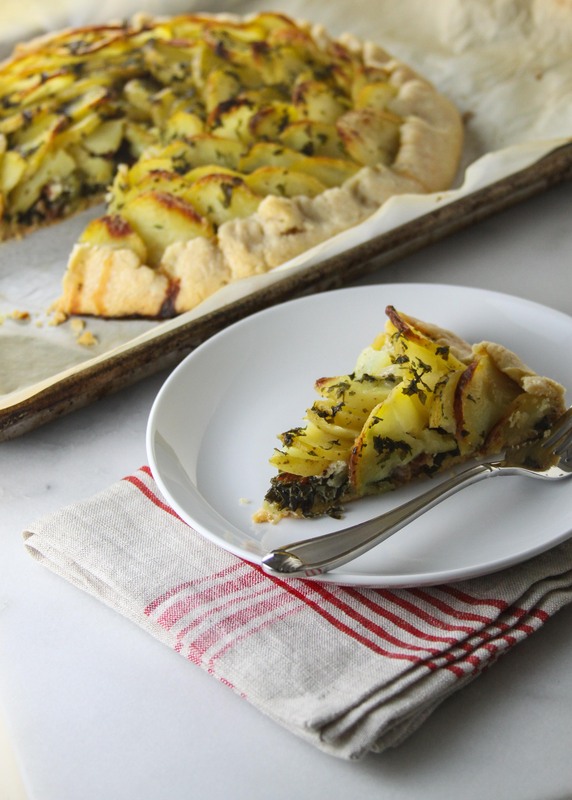 In addition, there are recipes throughout the book that put to use many of these home preserved items such as jam tarts, rugelach, and the gorgeous kale and potato galette with duck fat crust that I chose to make. The galette looked so enticing, that I had to make it asap. 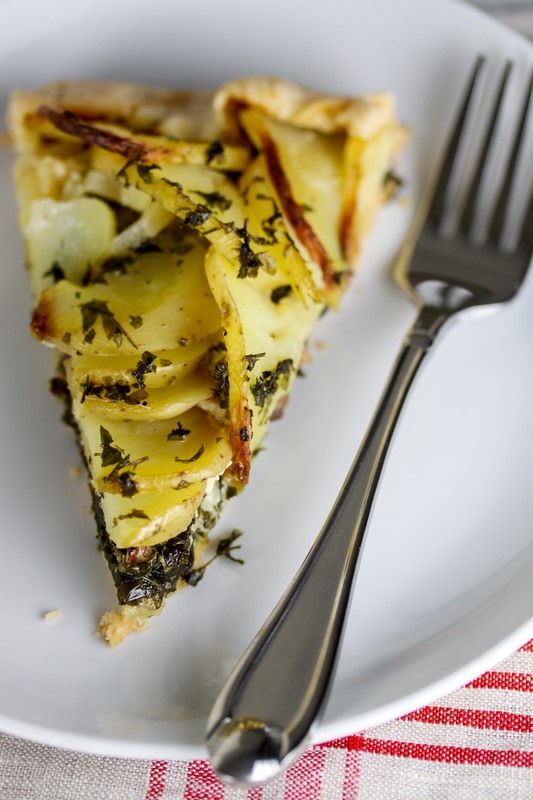 The technique for the duck fat crust is truly foolproof. Sometimes rolling out dough with duck fat can be a challenge, but this crust was very easy to work with. 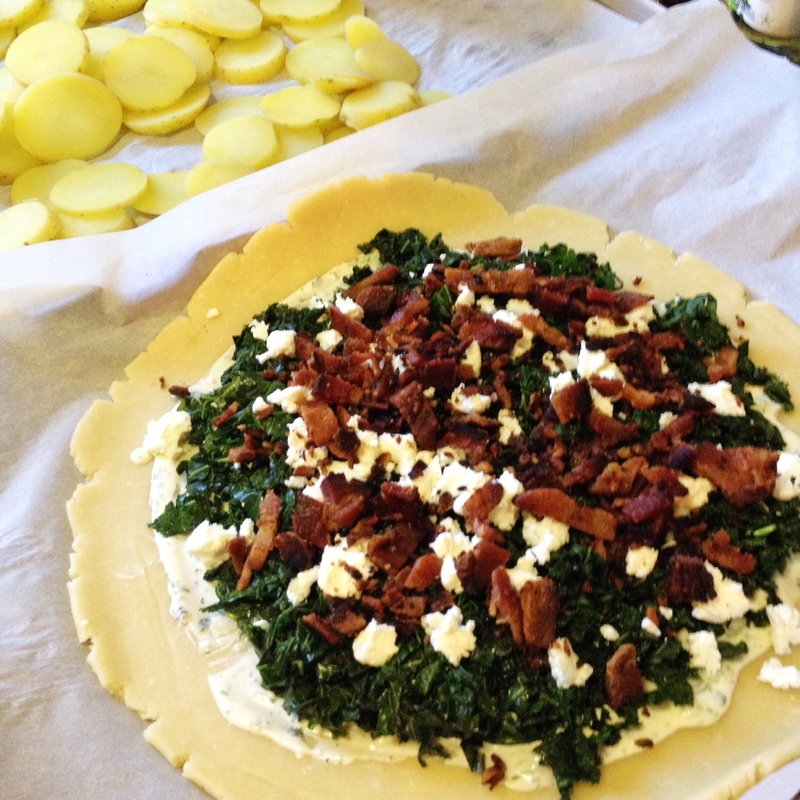 The crust is stuffed with kale, goat cheese, bacon, potatoes, and home-made creme fraiche. It’s amazing that such simple ingredients can come together to make such a show-stopping meal. 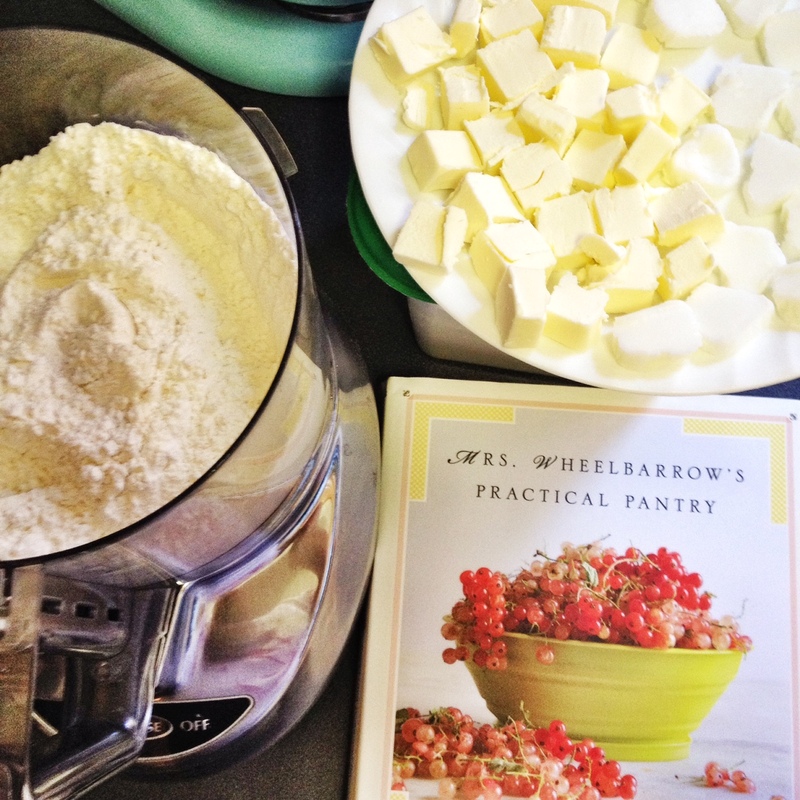 Of course, the book has recipes for the bacon and the creme fraiche as well! This is a great addition to any cookbook collection, and I know it will be a go to source for home-preserving. I’m really looking forward to exploring the chapter on pressure canning. The wonderful people at Norton are providing me with a copy of the book to give away. To be eligible: leave a comment below stating what is your favorite way to preserve seasonal produce. I will choose one comment at random. The winner will be announced on Saturday, November 15th on this post and via Twitter. The winner will have to provide a US shipping address. You can meet Cathy at one of the many scheduled book release events. It’s not exactly preserving, but I love turning veggies into kimchi! Kimchee absolutely counts, plus it lasts a really long time! Who does not love the taste of sweet corn…and you can have it all year around by canning . No chance of it getting ” frost bit”. Merely slice the kernels off the cob and boil for five minutes. Skim foam from surface. Spoon into jars ( 1″ head space) and add a dash of salt to taste. Place the lids and process at 10 lbs of pressure for 55 minutes. Sooooooogood! Ann, that sounds fantastic. I have yet to try pressure canning. Corn is on my to do list. I love making giant batches of tomato sauce with fresh summer tomatoes that will last me all year round! Tomato sauce is so versatile and a great pantry staple. 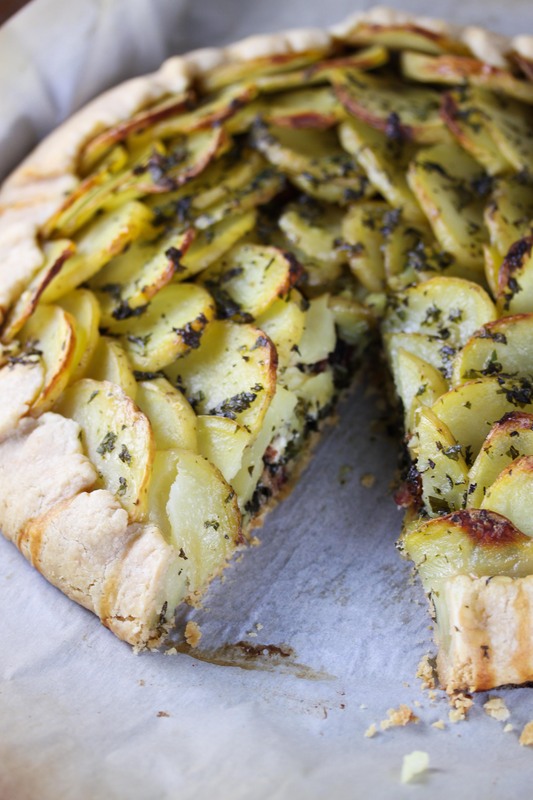 Such a beautiful galette! My favorite way to preserve produce is by saucing and canning tomatoes, hands down, but a good refrigerator pickle is on the list too. Thanks for the giveaway opportunity! Thank you, Eileen! Tomatoes are a favorite of mine too. i really enjoy the good old fashioned way that my mom and grandma taught me. Especially making my jams. Make my jam and while the jam is hot fill the jars. And boil them for about 7-10 min. and let allow them to cool! Thank you for the chance to win what looks like a great book! My favorite way is to preserve the food in my stomach. Relishes and salsa…small batch canning is my favorite…so there is a lot of variety in the pantry when winter rolls around. There’s nothing better than having a full pantry during the winter! Oh, my. This looks scrumptious! That galette looks delicious! Hope to win the book so I can make it pronto! The rest of her recipes look wonderful. Would love to try the recipes for fresh cheese making and caramel pear preserves. I am sure they are the best! I enjoy small batch canning for the variety but slow roasting tomatoes is also one of my favorite methods of saving fresh heirloom tomatoes for the mid-winter burst of tomato sweetness! Wow, homemade cider sounds fantastic! I like making tomato sauce for freezing and freezing various fruits. That’s about all I can do since I don’t know how to preserve/can. That galette looks amazing. I’d love to win the book so I could make it. I even have the duck fat! Plus, it sounds like a good book for a beginner like me. My favorite way is to make jam! I like to make spicy pickled green beans! Also, I like to freeze home made tomato sauce. My favorite and it’s easy….raspberry jam…love the pretty red, makes great Christmas gifts.